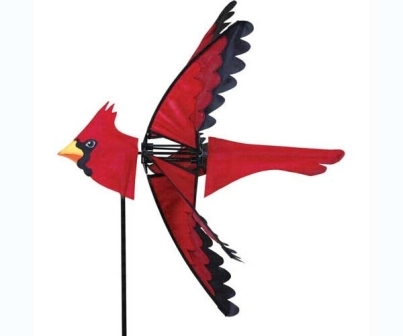 Our Flying Bird Wind Spinners by Premier Designs will dazzle your neighborhood. The Flying Birds Wind Spinners delightfully embrace the colors and markings as seen on their natural counterparts. Multicolored spinning wings provide a realistic flying effect. Made from DuPont SolarMax and heavy-duty hardware, they are durable, eye-catching outdoor garden ornaments.